• 3 projects are financed by the Apulia Film Commission as part of the project “Memory” – 3 short films with a total of 90.000 Euro. -The European Convention on Cinematographic Co-Productions. -A Government Cinematographic Cooperation Agreement with Italy. -A Protocol Agreement with the Apulia Film Commission (2014). -EFP “European Film Promotion” since 2010. -SEE “South Eastern Europe Cinema Network” since 2001. -Albania participates on the Creative Europe Sub – Media Programme since 2015. •Once in 5 years there is organized The Albanian Film Festival were participate the best films of the last 5 years. •There are 68 Film Production Companies registered at ANCC, that operate in Albania. •The Albanian Film Commission operates since 2003. 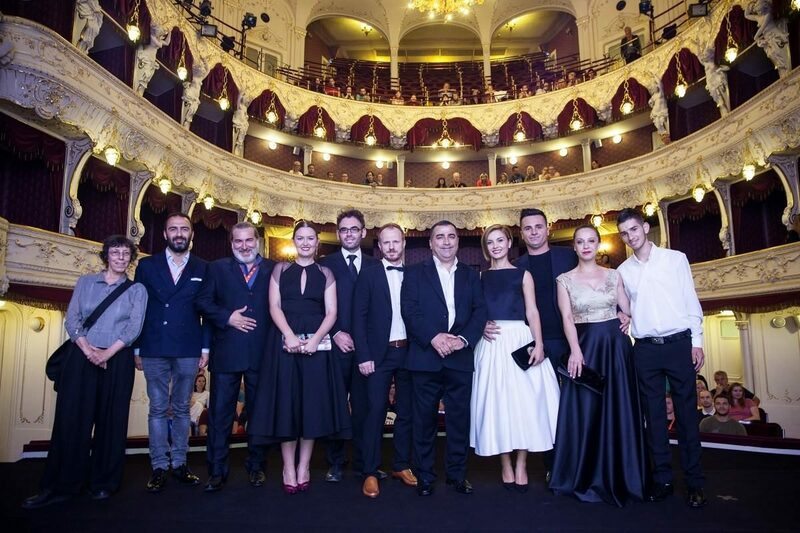 •Seven Cinematographic Associations operate in Albania. In the 20 years, between its creation in 1997 and today, ANCC has financed 271 films, 183 of whom, in the period 1997 – 2014. The films belong to the following categories. Hence, the ANCC has financed in the last 3 years almost 1/2 of the total number of the films financed in its preceding 17 years. More features were financed between 2015-2017 (36) than during 1997-2014 (35). In “Kinostudio’s” best years, circa 40 films were realized yearly, 14 of them were features, and the rest were documentaries and animations. This number is considered even today a production record in reference to the population of Albania. So currently Albania is realizing roughly the same number of films through the financial support of ANCC. Precisely in 2016 ANCC financed 37 films, from which 15 were features and the rest were shorts, documentaries and animations. 78 film projects applied for funding. After undergoing the evaluation process, 37 projects were granted funding. 18 supported directors are first time applicants. 30% of supported directors are females. 81 film projects applied for funding. After undergoing the evaluation process, 43 projects were granted funding. 59 film projects applied for funding. After undergoing the evaluation process, 28 projects were granted funding. on the minority co-productions, animated films and film festivals in 2017. •ANCC Presence with a stand at Berlin International Film Festival (Berlinale) 2015, 2016, 2017. •ANCC Presence with a stand at Festival de Cannes in 2015, 2016, 2017. •The Workshop “Albascript” was organized by ANCC in cooperation with Cineuropa in Pogradec, Albania – August 2016. •The ANCC together with the Macedonia and Bulgarian Film Centers is a founding member of the Balkan Cinema Cities Initiative, 2016. •In 2016 Albania participated on the 73rd Venice Film Festival thanks to ANICA Italy and the Italian Ministry of Culture MIBACT with its session Focus Balkani. The aim of the conference was to promote the co-development funds signed or in progress with MIBACT and to present the system of incentives put in place by each Balkan Country for Cinema and for the international co-production. •In March 2016 the Meetings of the Eurimages Board of Management were hosted by the ANCC in Tirana. •Albania participates on the Creative Europe Sub – Media Programme 2015. •Establishment of the Albanian Minority Co-productions Found, in 2015. •The Workshop “EAWE IN DEMAND” was organized by ANCC in 2014, in Tirana, Albania.